The 415 runs from Tulse Hill station to Elephant & Castle, it is also the name of a hostel in Bulgaria and a German type VIIC U-boat famous for nearly sinking the HMS Hurricane. 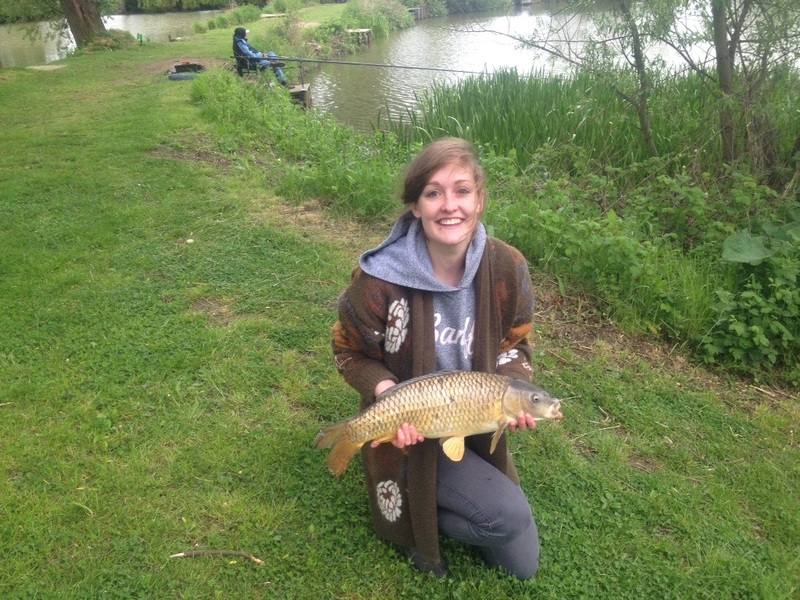 Helen caught 11 carp, tried not to catch a duck and then caught a cold. Matt did a BERG shaped PechaKucha in the design museum. Joe and Denise wrapped up for Uinta. Jack stoked the fires in the NPD skunk works. Kari continued to power through the Royal Mail’s bureaucratic krypton factor to get compensation for lost little printers. Alice grafted hard on a re-mastered BERG Cloud remote whilst plotting how to cerebrally maim the luddites at her intellectual showdown in Hay on Wye. Alex lent his hand to some lovely circuit board cartography for our BERG Cloud Dev Board. Fraser contemplated little printer publications on the Zendesk. Andy, Adam and Nick tirelessly honed and fine tuned the Dev kit for our partners at Fabrica. I found a rare picture of a specific German type VIIC submarine. The 2nd Little Printer run is rolling on and Helen has been steering the good ship, ensuring the various parts don’t lose momentum. It’s a good chance to review the processes involved in bringing it into the world. Matthew was out in various meetings and interviews. For the most part discussing this and latterly this. Mark’s been involved in such things too, among myriad other avenues of exploration. Neil and I have been wrapping up some of the finer details of Kachina in time for delivery to the first recipient. Neil’s also been working on an as-yet-un-code-named project with Jack: much sketching. I’ve also been working with Phil W. on the BERGCloud hardware dev tools and doing some specific factory wrangling. The illustrious Adam and Alice have been making some obvious and some less obvious improvements to remote and the BERG Cloud infrastructure in general. Nick’s been on that too, as well as prepping for some upcoming talks. Fraser and Kari have been fielding Zendesk curveballs and shipping out our paper refills. 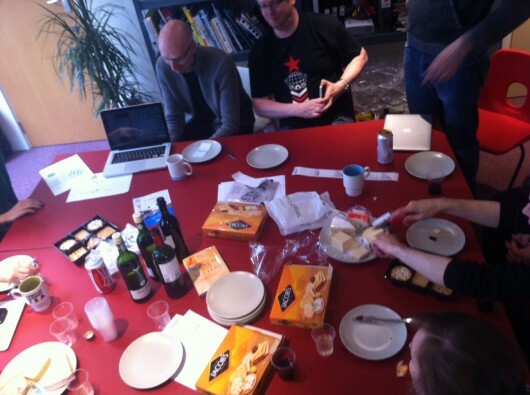 By the end of the week, Phil had was able to show us some of the cracking publication work he’s been doing (and you can see some of it too) at our delightful cheese and wine demos. See? Joe and Denise have been working on another Uinta project which has been coming on nicely, and Denise is also collating interesting family-based uses of Little Printer. If you’ve any stories you’d like to share then please get in touch. It feels like a while since I’ve written weeknotes. Partially that’s because last week I was on holiday – watching cricket, soaking in the sun, ambling through crowded markets – and this week I’ve spoken at two conferences with all the attendant prep, etc, that brings. And so I’ve been in a different headspace for a while and even two weeks ago feels like a lifetime away. ^ this is where I was the week before this. Sigh. Phil G was drawing graphs for Little Printer publications. Kari was on Here & There. Andy had started assembling the new dev boards. Alex was finalising Little Printer paper sale details. Denise was reviewing a proposal for Uinta. Alice was doing everything, but mainly lots of Little Printer shop things. She’s on holiday next week. Helen has been on Little Printer sales to, helping out with opening the shop to Australia and New Zealand. Nick… working on the next version of the firmware and OS for the upcoming batch of BERG Cloud Bridge units. Neil is restarting Little Printer Hospital. Adam was at Alton Towers. 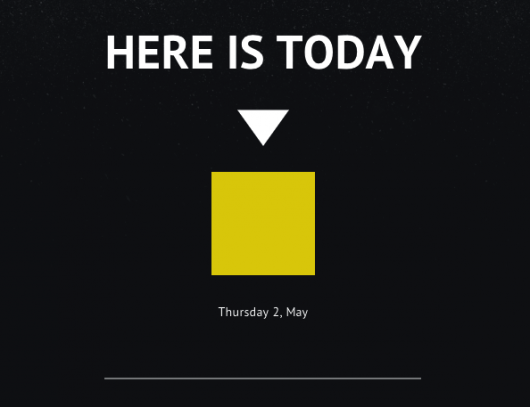 That was just Tuesday. The remainder of the week consisted of fewer roller coasters. I was speaking at Write the Future and Point, both in London. At #WTF13 I spoke about treating products as people, as a response to the alienating complexity of technology, and Meg Jayanth has written a brilliant response: Don’t Hate Me Because I’m Digital. 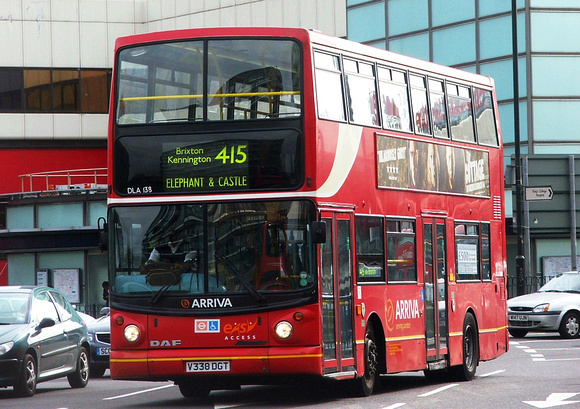 Buses that flirt! Singing cities! Now I’m finally getting a moment to catch my breath, I’m reviewing what’s been going on over the past couple of weeks – while I’ve been away – and I’m becoming increasingly amazed and proud at what the team have been up to. New! BERG Cloud Dev Kits — the same platform that we used to build Little Printer is now available for anyone. Develop using Arduino or Raspberry Pi, then snap on the BERG Cloud dev board to get APIs, user management, fleet management, and loads more. This is a huge shift for BERG, a real glimpse of where we’re heading. Let’s connect everything. Our first 3rd party using BERG Cloud is… Twitter! Here’s #Flock, the connected cuckoo clocks that sings when you’re retweeted, followed, or faved. Twitter is giving away these limited edition items to select partners. The first was awarded to O2 (Telefonica). You need more paper for Little Printer? You can buy more paper for Little Printer! BPA-free (BPA is the chemical traditionally used in thermal paper. You wouldn’t put it in food, so we prefer not to put it in paper), with a recycled and recyclable core. Little Printer now on sale in Australia and New Zealand for the first time ever, in addition to the USA, Canada, and EU including UK. So wherever you are, you can get your Little Printer now. You won’t have long to wait. The New York Times on Little Printer! Can I say that again? The New York Times on Little Printer! We’re currently rolling out a major new capability in the API for Little Printer: push content. Where the existing API allows users to receive scheduled content (say, headlines at 7am daily), the Push API allows for notifications at any time — if there’s breaking news, you wanna hear about it right away! I am super, super proud that we have a breaking new push publication from such a high-calibre publisher. I know everyone’s worked very hard to make this happen, so thank you all! There are more terrific new publications too — read more here. Go to your BERG Cloud Remote to subscribe to these publications and many more. And, in a blast from the past, legendary Schulze & Webb era map-projection-R&D-masquerading-as-art project “Here & There” – now part of the New York MoMA permanent collection – is back on sale! In our recent studio move we found the last remaining 180 pairs of maps (you receive both the uptown and downtown Manhattan maps when you purchase), so up on the shop they go! I think we have only 60 left now – from the original 1,000 – and when they’re gone they’re gone. Get yours now. In the busy-ness of the past two weeks, it’s easy to concentrate on the hectic rushing around and miss the big picture… that this was when BERG turned hard into the corner. Increasingly we’ll work on Little Printer, and our platform BERG Cloud. On supporting developers and the community, and collaborating with clients to validate their ideas and then bring their connected products to life. What you can see in these launches is a deepening of our offer — everything from the Dev Kits – as proved with #Flock – to the new publications which really show where Little Printer is going. And this is a challenging and competitive space we’re moving into. That the team is riding these rapids, negotiating these changes, and launching so much… well, I’m a proud fella. What a great team. Thanks folks!